Small RNA Seq is the companion of RNA Sequencing from basic research to new therapeutic approaches. Small RNA fraction, expected sizes? Sample types (Serum, cell types, tissue)? Novel and or known small RNA types? Model organism or no database entries available? 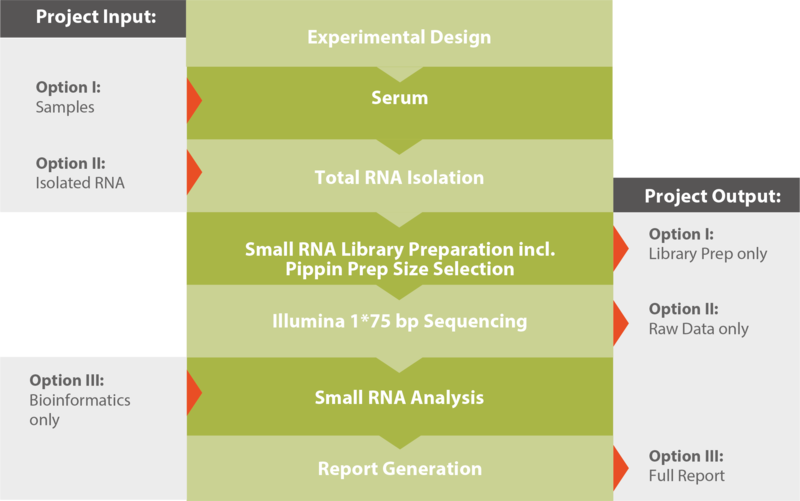 A typical workflow for a small or miRNA project is shown in the graphic below. Please note that our highly-modular processes allow you various entry and opting out options. If you outsource your entire NGS project to Microsynth or only parts of it is up to you. For further reading and a detailed technical description, please download our Application Note Small RNA Sequencing (see related downloads). The results produced by our analysis module help answer three main questions of a miRNA sequencing experiment aiming for instance at finding biomarkers for a specific disease. 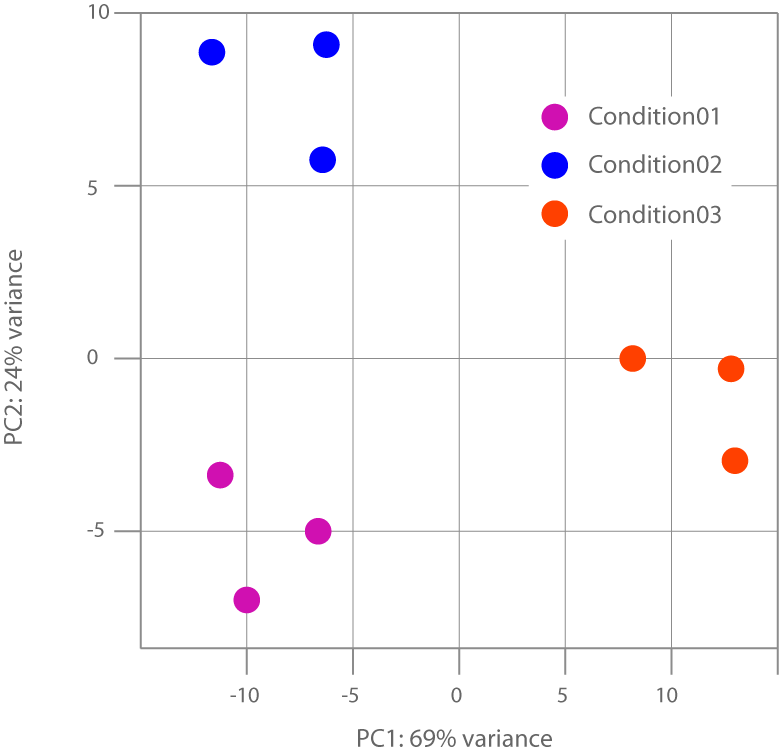 Figure 1: This figure shows a Principal Component Analysis (PCA) based on the normalized expression patterns of the analyzed samples and depicts their similarity to each other. Thus helping clarify if the conditions used in the experiment lead to different patterns of miRNA expression. Table 1: This detail of a result table shows raw counts of sequenced miRNAs and their similarity to already known miRNAs. Any unmatched and therefore possibly novel miRNA sequences and their frequencies are listed for possible further investigation. Detailed information on our miRNA sequencing service.